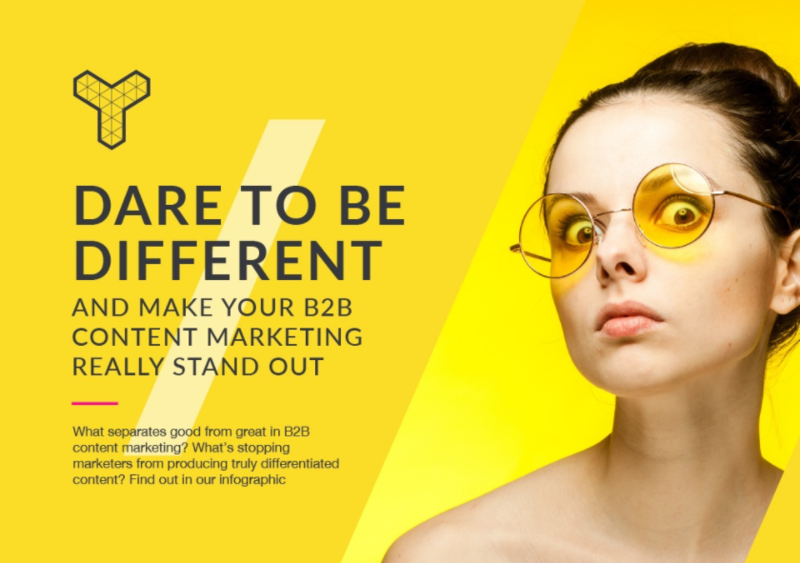 What separates good from great in B2B content marketing and what’s stopping marketers from producing truly differentiated content? What makes content great isn’t in the word count, it’s in the connections it makes. Connections with individuals, target customers, and your skillfully segmented audiences. Being there when they need it, catching them at just the right mile marker on the customer journey, and giving them options in tune with their motivations at that moment in time — these are the outcomes that make your content marketing sing. But creating content that connects is a mix of science and art. It’s one area where more isn’t always better. And where better isn’t always right. This infographic shares some stats on what really matters to content marketers today, plus the tactic more likely to lead to success than any other — simply being different enough to be interesting. Here’s some background info for any organisation with the courage to do it. That’s the mother lode in content marketing. To make a difference you need to, well, make it different. Our research shows marketers are spreading themselves too thinly across their various responsibilities. Trying to be jacks of all trades, without the time to devote themselves to even one. You’re in a crowded media landscape – stop attempting to cover every plain and hillock. Concentrate instead on the audiences with the highest engagement potential, and the greatest propensity to buy. And remember, these segments may not be as simple as traditional job role or industry classification. Psychographics overlap; they unite groups of people rather than split them apart (remember our Game of Thrones piece!). Think of your audience as people ready for the right idea at the right time, and you’ll think about content marketing in a whole new way. Stop counting the customers you reach, and you’ll start reaching the customers who count.